In "The Cuban Spring," Vanessa Garcia Confronts The "Familial Embargo"
This story originally ran October 28, 2014. It was rebroadcast May 6, 2015. 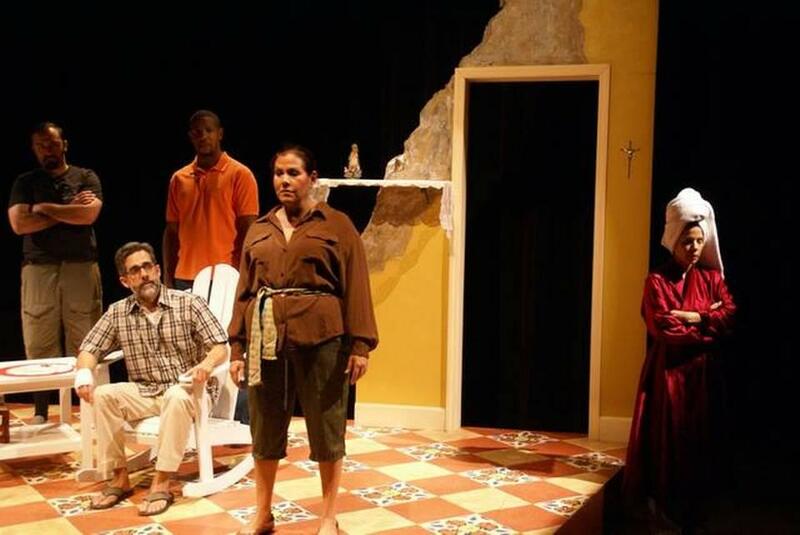 From left: Nick Duckart, Carlos Orizondo, Ethan Henry, Evelyn Perez and Tanya Bravo (as Siomara) in "The Cuban Spring." The national media are heavy at the moment with The Cuban Debate. This month The New York Times called on President Obama to end the failed, 52-year-old U.S. trade embargo against Cuba and try engaging the repressive communist regime for a change as a way to reform it. It’s a discussion that’s increasingly taking place around Cuban-American kitchen tables as well, as a younger generation challenges a half-century of hardline diaspora dogma. I spoke with Garcia about “The Cuban Spring” and the Cuban-American evolution her work often examines. First, why the title “The Cuban Spring”? The play takes place in 2011, when the Arab Spring was starting to bubble up and parallels were being made with Cuba. But I think there’s a kind of rebirth that a new generation is bringing to the topics revolving around Cuba. The older generation is passing, and there are moments in which that is very sad, but there are moments in which that opens up a huge amount of freedom for other people to voice opinions. There is the economic embargo, but there is something I think even bigger that I call the familial embargo. And so the very thing that drives us toward the island, this cultural information and knowledge, is the very thing that also blocks us. The parents infuse us with it, and then they don’t let us go. So it’s like knowing very deeply a place that you don’t know at all. We learn that Siomara is pregnant, but she’s uncertain whether she wants to have her baby until she figures out what her identity is. And you seem to be saying: For my generation, that means reconnecting with Cuba. Absolutely. I don’t think that it would be possible for her to put new life into the world without understanding where she’s come from. I myself have always wanted to go to Cuba. I had tickets to Cuba, this was now a couple of years ago. Well, I go to my mother’s house and I tell her. She starts to freak out, I mean, in a very over-the-top Cuban bad way, veins sticking out of her forehead. She tells me that she’s literally going to have a heart attack, but she actually did look like she would. And I had to throw away the tickets. A scene in “The Cuban Spring” involves a similar argument. I won’t give away whether Siomara goes to Cuba. But do you have your own feelings on issues like the embargo? Yeah. Why I wrote this in the form of a play is because I didn’t want this to be preachy in any way. My mission really was just to stir up a lot of questions. But in essence, yes, I am against the embargo. Does the older generation appreciate that there is now a mix of opinions? He says, “There’s as much Fidelismo in this house as there is in Cuba,” right? I think there are a lot of people that are still afraid to talk in terms of being anti-embargo. But I think that’s changing. I can understand both [sides], but it’s absolutely not black-and-white anymore. And recently I have convinced my mother to travel to Cuba with me. So when is this trip going to happen? He packs. So it’s interesting now looking at the play with these nuances that are happening in my family, feeling like, you know, we are on the brink of some kind of change. Update: Last November, Garcia and her mother, Jacqueline Diaz-Sampol, did visit Cuba together. Garcia's first novel, "White Light," will be published in September. Tim Padgett is WLRN's Americas editor. You can read more of his coverage here. The Cuba Debate: Can Capitalist Rookies Thrive In A Communist Revolution? When you’ve spent your entire life on a communist island where staples like eggs and chicken are rationed, lunch in Miami can be overwhelming. Ask Sandra Aldama, a Cuban mother and former special education teacher who made her first visit to the United States this month. Settling into a downtown Italian restaurant as waiters whizzed by with plates of fettuccine alfredo and veal parmesan, Aldama was almost certainly reminded of what the average Cuban can’t get at home. It’s hard to tell what’s most striking these days: Yoani Sánchez’s heroism or America’s hypocrisy. Last week, when communist authorities tried to block Sánchez’s new digital newspaper, 14ymedio, Florida Senator Marco Rubio called her “one of Cuba’s most courageous” dissidents. And rightly so. But he also called the internationally acclaimed blogger “an aspiring Cuban media entrepreneur.” And that’s where the inconsistency starts. A major poll released Monday confirms most Americans, and especially Floridians, feel it’s time to normalize relations with communist Cuba after more than a half century of Cold-War rupture. This year has seen a growing chorus of polls, studies and statements calling for an overhaul of U.S. policy on communist Cuba. On Monday a new group called #CubaNow added its voice -- and signaled the growing generational shift among Cuban-Americans. 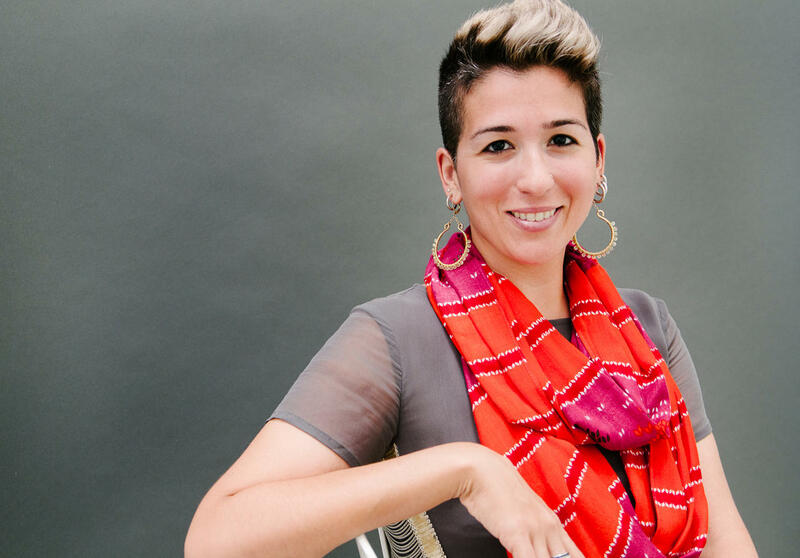 #CubaNow, based in Miami and Washington, D.C., is comprised mostly of younger Cuban-Americans who feel that a half-century of isolating Cuba has failed. They favor more open economic engagement as a way to help democratize the island.